Free samples are a tried and tested marketing tool that, with an increase in the number of shoppers looking for bargains in today’s tough economic climate, have never been more relevant. 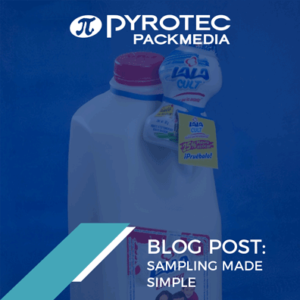 Sampling is an ideal way of introducing new products or variants to your target market; and can be used as an on-pack promotional device to drive sales of the product that it is attached to. For example, a free gift attached to a product is a great way of enhancing the product’s competitiveness while attracting impulse buyers who may not have considered purchasing that particular product without an accompanying promotion. Sampling is also useful for creating brand loyalty. Consumers feel rewarded for purchasing your product, as well as creating word-of-mouth awareness by telling friends and family about the free gift they received or recommending a new sample that they tried and enjoyed. 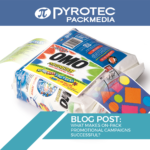 Pyrotec PackMedia offers an array of sample delivery tools that includes the industry-renowned ElastiTote®. This distinctive mechanism, known as the ultimate sample delivery tool, either attaches a sample to an existing product or can be used on its own. One of the ElastiTote’s® major advantages is that it is fully customisable. This means that you can determine the style, shape and design of your sample delivery tool. Using ElastiTote®, you can maximise the value of your marketing campaign by attaching a sample and an informational leaflet to an existing product at the same time. The hang tag is highly durable and with custom die cuts, designs and prototypes available, the creative possibilities are endless! Whether introducing a new product flavour or variant, driving the trial of an existing complementary product, promoting sales via giveaways, or running a sample-driven promotion, ElastiTote® is the ideal solution to meet your sample delivery needs. 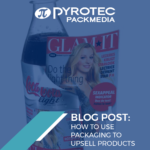 If you want to know how Pyrotec PackMedia can help you to move your products off retail shelves, visit Pyrotec PackMedia today.